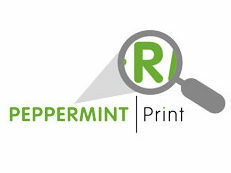 In print, images, photographs and illustrations are reproduced by 2 different methods. 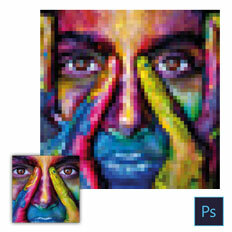 A Raster image is made up from thousands of small coloured squares called Pixels. When viewed by the human eye the squares are so small that they appear as one image. Another common name for a Raster image is a Bitmap. Raster images are most commonly used to produce photographic images. When a photo is scanned or imported from a digital camera, software converts it into pixels. The greater the number of pixels the sharper the image will look once printed. This is important as you can not add pixels to an image, therefore you must ensure there are enough pixels in the original image for you to re-produce it at the size needed. A typical image that is 6” x 4” at 300dpi would have 2,160,00 pixels. 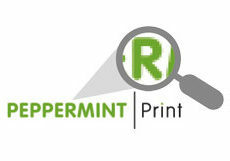 Raster images can be adjusted using appropriate software such as Adobe PhotoShop. The software will alter the appearance of each of the individual squares but as they are so small you only see the overall effect. As you can edit each individual square or pixel, the amount that you can change the image is almost limitless but requires a high level of skill to achieve the best results. If you increase the physical size of a raster image you are spreading the pixels that make it up over a greater area making each individual pixel larger. Increase it too much and the squares start to become visible making the image look blocky or pixelated. Reducing the image size effectively squashes the same number of pixels into a smaller area but as they are too small for the human eye to see you can remove pixels from the image without loss of detail. This is important as the file size of the overall printed document can end up very large if the images used in it have a high pixel count. This will slow down the process of producing and handling the job from email, file transfer and eventual printing. The most common file formats for raster images are .tiff, .jpeg and .raw. These can be produced by an array of software packages with the most popular one being Adobe PhotoShop. 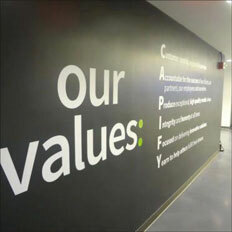 You can effectively produce anything as a raster image including photos, logos, type etc but in the professional print environment they should only be used for photos and tinted areas of colour. Vector images are created using points that are connected by lines on a computer screen defined by mathematical formula. When the points or nods are joined together, the lines produce an outline of the shape, illustration or font with every aspect of the line such as position, thickness, direction and colour being defined by a mathematical expression. Colour can be added to the centre of the outline, which is again described as a mathematical expression. As each line and point is effectively a number it can be scaled up (or down) without any loss of detail. For example, if you have an image at size X and need to scale it up 5 times in size, the software will recalculate the position of the lines and points by 5X. This is the key to what vector images should be used for as the quality of the image is not limited by the number of pixels as raster images are. 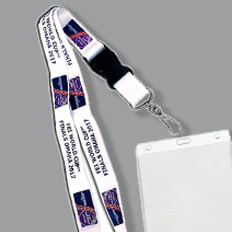 They are therefore ideal for company logos and images that need to be used at different sizes in different situations. A second important aspect of vector images is the file size. As the image is basically described as a series of numbers rather than thousands of the individual pixels, they are relatively small regardless of what size they will be output at. 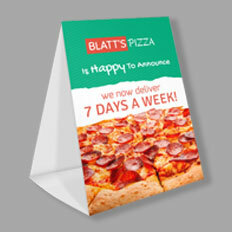 For example a vector file of a logo being output for a letterhead, will be a similar file size to one being output for a large poster with no loss of detail. This is because rather than having to store all the information for each individual pixel, vector images only have to store the numbers describing the lines and points. As each element of the vector image is described by a mathematical formula you can change individual elements quite easily but as there is less detail in a vector image you are limited in what you can do. The most common software programs used to produce vector images include Adobe Illustrator and Coral Draw on a PC with the file format .eps – encapsulated postscript, .ai or PDF. 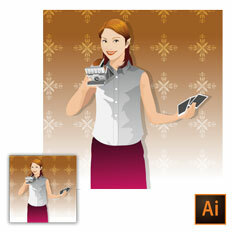 Vector images are most appropriate for logos and illustrations. They can not be used to produce photographs.